Coffee with Stephenia H. McGee! I am so excited to have a ‘new to me’ author, Stephenia McGee, here for coffee with Paula! Thank you for taking the time to sit down with me today, Stephenia, so that we can get to know you a little better! SM: Hi, Paula! It’s great to be here. Thanks for having me on today. PM: I see you write all historical novels! I have always been fascinated with different time periods, but especially the 1900’s, which I am guessing is a favorite of your too! What is that draws you to write about the past? SM: I find history captivating. There are so many amazing stories of real people who did astounding things. I enjoy the research, and using the bravery and heroism of those that came before us to inspire characters who pass on some of that legacy. I also have to admit I love the fashion and the charm of life before neon billboards. PM: What was your most beloved book to read as a child? SM: Oh, that’s a hard one. There were many that I loved. I devoured books as a child. I remember carrying around a massive volume of Jane Eyre everywhere I went in the fifth grade. My friends found that odd. 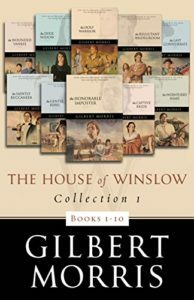 I’d have to say, though, that I remember really being into the House of Winslow Series by Gilbert Morris. I loved starting with a family coming over on the Mayflower and then going generationally through history. Traveling to different times through his stories gave me a sense of adventure. PM: As a busy wife and mom of two boys, when do you find the best time is to write, and where? SM: Well, up until this year, I wrote from my home office when the boys were at school. I’d usually hit the keyboard from 8:00 to noon most weekday mornings. Then I felt God nudging me that I probably needed to homeschool my youngest son, and I became the accidental homeschool mom of 3rd and 5th graders. That was a major adjustment for us. I’ve always done my best writing in the mornings, but with this new adventure, I’ve had to change that. When we came back from Christmas break, the new schedule carves out about two hours in the afternoons three days a week and four hours every other Friday for “quiet time” which basically means “leave Momma alone and let her work!” time. Hopefully, I’ll be back into a writing groove soon. PM: Tell us what you enjoy doing the most when you are not writing or reading? SM: Watching movies with my family, playing family board games, cooking with my oldest, and taking trips to just about anywhere. I also love when I get to have a date night with my Hubby. Fifteen years of marriage and he’s still my favorite person to be with. PM: What has been your most interesting discovery in researching history for one of your stories? PM: If you could have dinner with anyone from history, who would it be, and why? SM: At the risk of going for the obvious answer, my far-and-away choice would always be Jesus. Who wouldn’t want to sit at a table across from Him in his human form and get to talk face-to-face? PM: If you couldn’t be a writer, what career path do you think you’d choose to be on? SM: I honestly don’t know. From an early age, I’d planned to be a veterinarian. I actually hold a bachelor’s degree in animal and dairy sciences, but decided not to go on to vet school. I’d never been as passionate for that as I am for crafting stories. If I couldn’t be a writer, then I would probably want to own a bookstore or work for a publisher or something. I love stories too much to really do anything else. PM: What is one thing about you that your readers would be shocked to know? SM: Oh, boy…. Okay, so confession. I haven’t read Redeeming Love. Crazy, right? What Christian Fiction writer hasn’t read that? I own it, but I still haven’t read it. Shocking, I know. Ha ha. 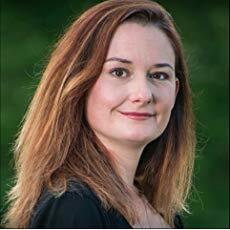 PM: How can readers keep up with you and your new releases? PM: Finally, coffee or tea? Cream, sugar? SM: Usually, I am a coffee with vanilla creamer gal, but I also love the occasional Chi latte. This has been great fun! Thanks everyone for stopping by! Next Coffee with Toni Shiloh! 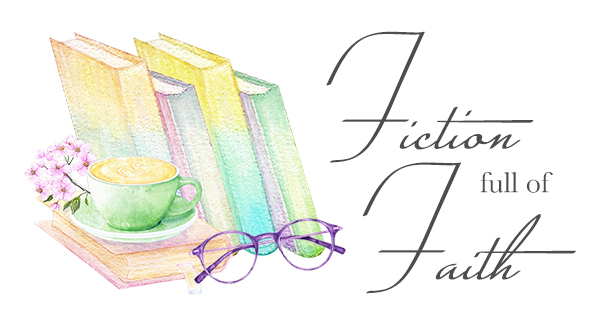 Coffee with JoAnn Durgin and THREE Giveaways!! Coffee with Ginger Solomon a Giveaway!! Thanks again for having me over! It has been an honor!